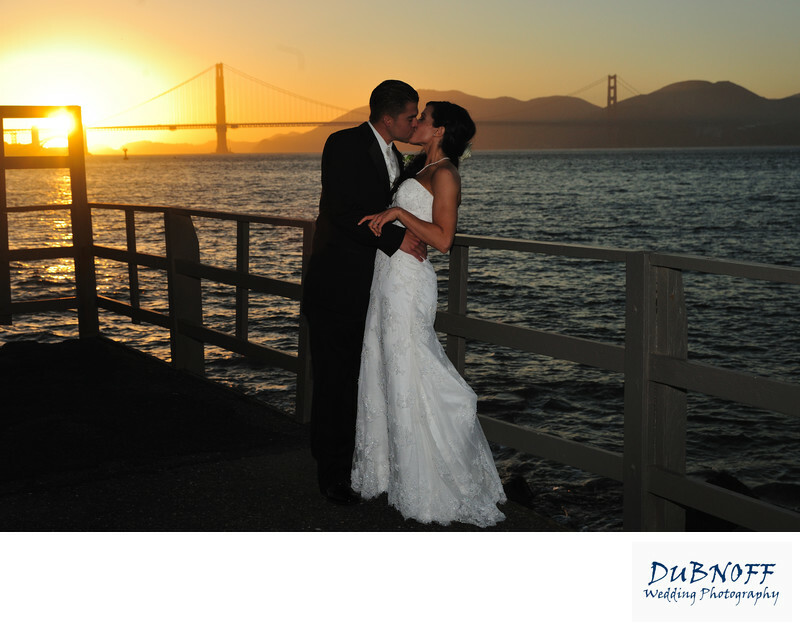 Out of all of the Golden Gate Bridge photos we have taken, the Sunset picture is one of the most difficult. This due to the angle of the sun compared to the vantage points we have for wedding photography. The Trick is to not make the bridge a total silhouette, although that can be nice too! But my preference is to position the bride and groom in front and then try to let some of the golden color of this iconic San Francisco bridge come through. In the photo above, we managed to do it. It's definitely a matter of using some off camera flash to light the couple. I love this photo because we were able to do all of these things and still show some expression on this San Francisco couple.